Anthony Bloom said that, in an interview of 1 August 2000, just three years before he died. A friend recently called it to my attention, and, like most things the man seemed to say, it was well said. For my part I have tried to argue in this place, and will continue to argue, that homosexuality does not contravene natural law, and need not contravene canon law; that it is forbidden neither by the Christian scriptures nor by the Church’s dogmatic authority: so many words. But words clearly will not persuade His Beatitude Metropolitan Jonas, primate of the Orthodox Church in America, who in his most current statement on the topic at my own home cathedral, on the occasion of the National Right-to-Life March, repeatedly associated homosexuality with abortion (without explanation) and repeatedly asserted their incompatibility with the “gospel of Jesus Christ” (again without explanation). The metropolitan gives the impression of a man whose mind is made up; and important as rational arguments and counter-arguments may be, they do not seem capable, in the grand scheme of things, of persuading a mind already made up. The problem here, so far as I can see, is one fundamental to any sub-angelic effort at communication. Your mind works on a set of experiences which in their total range are uniquely yours, and likewise my mind on a total range uniquely mine. Of course I do affirm that there exist meaningful inter-subjective or objective foundations for what we tell each other we know or believe. But whether that affirmation itself be the conclusion to a logical argument, or merely an inference of “common sense,” in the first and final analysis all we do have is our own, and separate, experiences. Thus an exercise of sympathetic or at least empathetic imagination—something akin to Cardinal Newman’s “illative sense,” or to the “eye of the heart” of traditional patristic and monastic wisdom—is always required, in order to hear and assent to another person’s account of his or her experience. Logic by itself isn’t enough. My favorite example of this in the sphere of profane literature (following S. Gregory the Theologian, amongst others) is the Platonic corpus. 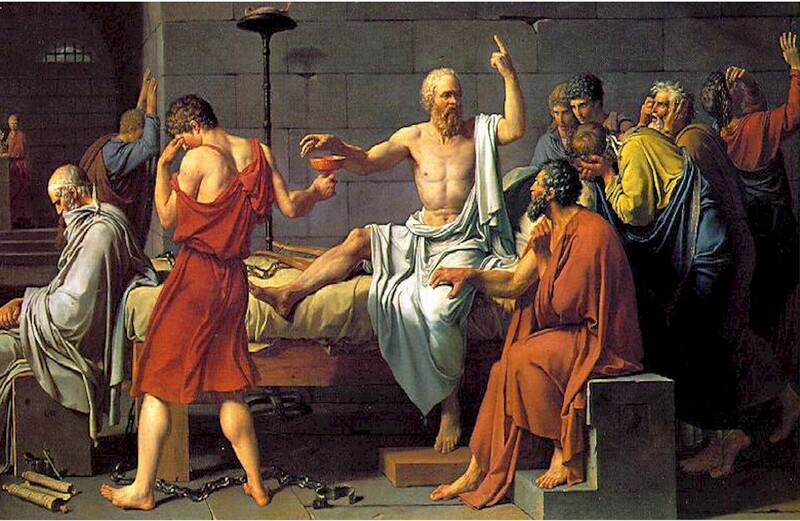 Now the person of Plato and his dramatic character Socrates are surely the exemplary apologists for the life lived purely according to reason. Yet Plato the rationalist, who spends a good deal of time criticizing poetic mystifications and sophistic wind-baggery, was also a supremely successful literary stylist, who knew how to appeal to the emotions. Fr. Denis Bradley, philosophy professor at Georgetown and priest at S. Nicholas Orthodox Cathedral, once asked me pointedly, with the usual mischievous grin: “Are you not so much persuaded as charmed by Plato’s dialogues?” A book I read later, about education in the medieval Church, upped the ante still further: was it not the example of Socrates’ dispassionate suffering in his own body which definitively “made” the disciple—chiefly Plato himself, and then all his “footnotes” down the ages who have been lovers of wisdom after him? The point is this. Truth can in part be discerned through the dialectic of argument and counter-argument. But that process—the process of the Platonic Academy, the process of Romano-Byzantine legal procedure—can bear its legitimate intellectual fruits only if the truth is loved to begin with. The complaint we bring against the ecclesiastical hierarchy is, in part, “rationalistic”: it consists of formal disagreements about the meaning of natural law, canon law, and so forth, which we can formally debate. The fundamental complaint, however, is (as ever) extra-rational: it consists of the failure of the hierarchy and of traditional popular culture to communicate with us; or rather it consists of a failure to love. In this fourth and final segment in the series “Disagreement Between Friends,” I will consider the implications of this predicament, and offer some tentative suggestions.